The Motel 6 hotel chain agreed to pay a $12 million settlement on April 4 for routinely cooperating with Immigration and Customs Enforcement (ICE) agents. Washington state sued the hotel chain for complying with requests from ICE to share guest lists, according to Washington State Attorney General Bob Ferguson. The $12 million will go to some 80,000 people who stayed at seven Motel 6 locations in Washington from 2015 to 2017. In a statement, Ferguson encouraged those who stayed at the hotels to reach out to his office for compensation. The attorney general promised not to share the information about those who reach out to the federal government. Ferguson said guests’ rights were violated because the hotel gave their personal information to ICE without their knowledge. The information led to the successful detention and deportation of several illegal aliens. Washington Gov. Jay Inslee declared the entire state a sanctuary for illegal aliens in February 2018. Inslee prohibited any state officials from detaining illegal aliens at the request of federal immigration enforcement authorities. Inslee’s order didn’t extend to private companies. A provision in the Motel 6 settlement will have a national impact. The chain agreed to not share guest information with ICE nationwide unless served with a warrant or other legal order, Ferguson said. Motel 6 also agreed to provide training to all of its employees about disclosing information to federal authorities. The states attorney general will monitor the company for three years to ensure compliance. Ferguson filed a lawsuit in January 2018 accusing Motel 6 of violating the Consumer Protection Act and the Washington Law Against Discrimination. 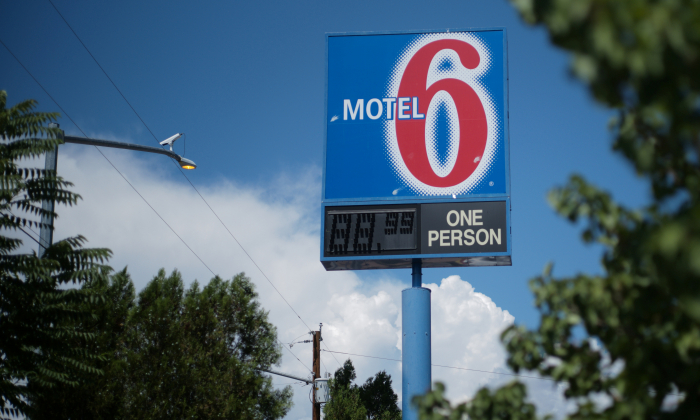 Motel 6 has 1,400 locations in the United States. President Donald Trump has made immigration a central focus of his presidency, but his efforts have met immense resistance from Democrats on the federal, state, and local levels. Both Ferguson and Inslee are Democrats. While much of the focus has been on the southwest border with Mexico, ICE works in the interior of the United States to detain and deport illegal aliens. Approximately 20 million illegal aliens currently reside in the United States, though some estimates set the number far higher. One million illegal aliens have final deportation orders, but are still in the country. Trump started reshuffling the leadership of his immigration enforcement agencies, replacing his nominee for the head of ICE, Ron Vitiello, and announcing that Homeland Security Secretary Kirstjen Nielsen is stepping down. “Ron’s a good man. But we’re going in a tougher direction. We want to go in a tougher direction,” Trump said April 5. “At the current pace, we are on track to encounter close to 1 million illegal aliens at our southern border this year,” Nielsen told the House Homeland Security Committee on March 6.